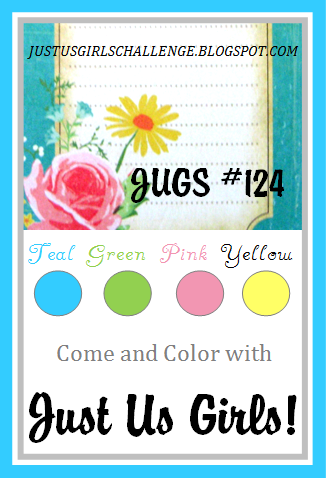 I have a quick post for you today that is for the JUGS Color Challenge! I love this color combination! Here is what I came up with..the DP has a little yellow in it, but it kinda came out green in the photo. 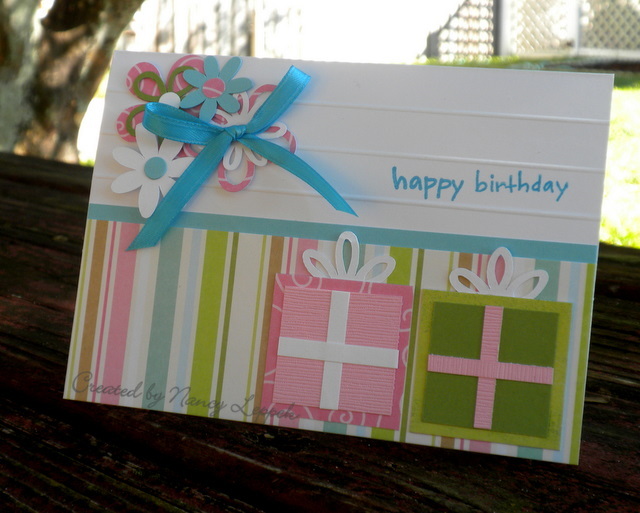 Categories: Cards, challenges | Tags: Card making, Cards, Cricut, Happy Birthday, jugs, rubber stamps, stamping | Permalink. I love this…the little presents are so sweet and I love how you added the score lines! Thanks so much for playing along with Just Us Girls! Very cute! Love those great presents! Thanks for playing with Just Us Girls.